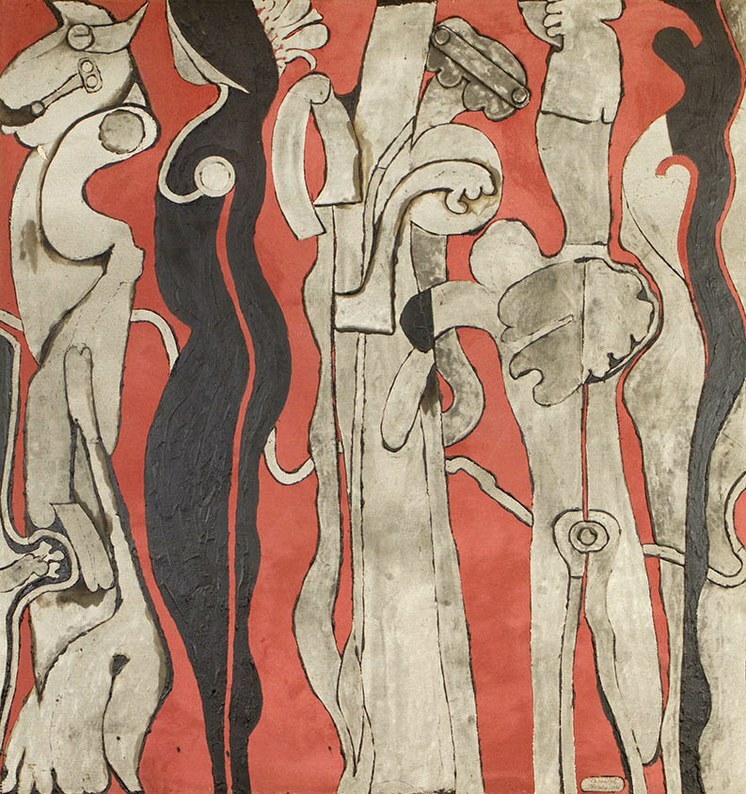 The most youthful art that I have seen this month is produced by James Jarvaise, who is 91. If these collages were downtown at an industrial space, anyone would be scanning the information sheet on the entry desk to check out the MFA status and recent shows of this emerging artist. 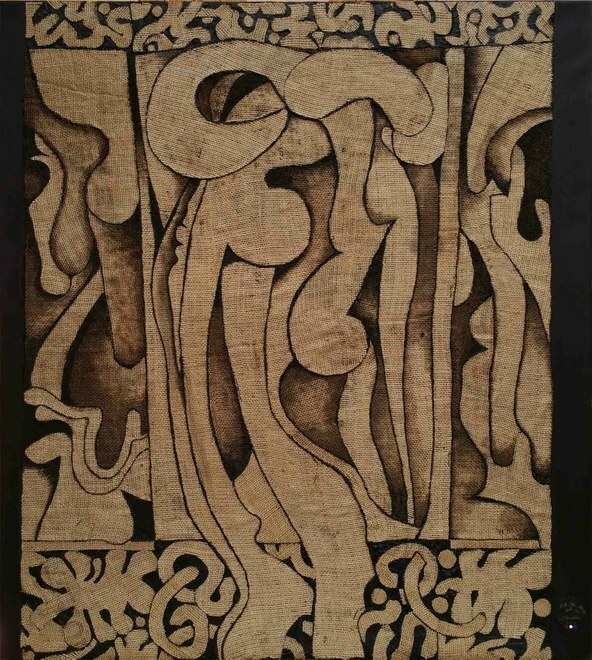 But looking more closely, it would be clear that the sophistication of composition and surface treatment are the very qualities that the artist has acquired over some seventy years spent in his studio. 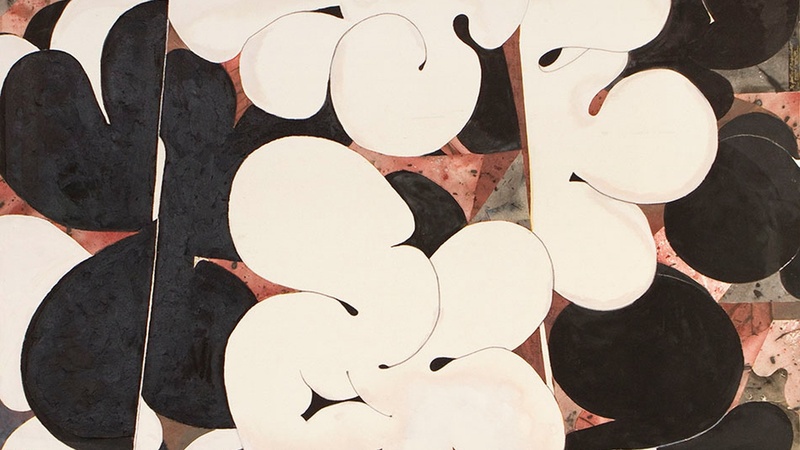 Louis Stern Fine Arts presents James Jarvaise: Collages Redux through April 25. 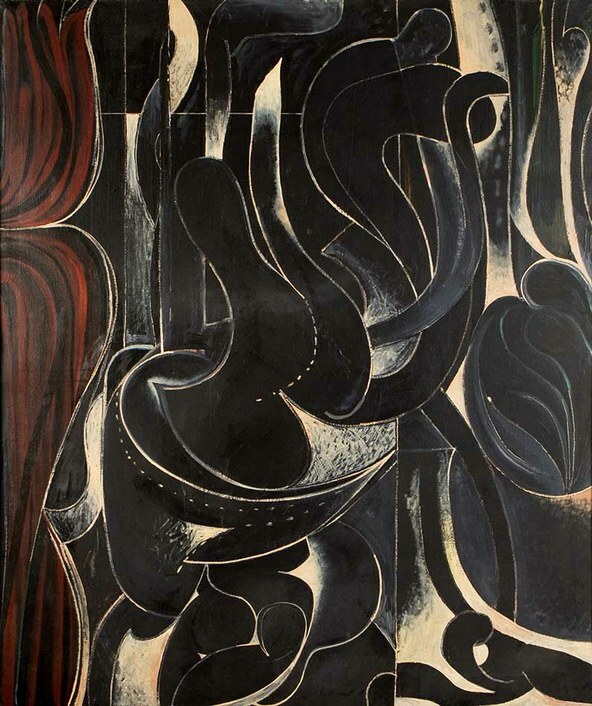 Jarvaise got his first burst of attention in 1959 when his abstract paintings were selected by curator Dorothy Miller for her 16 Americans show at the Museum of Modern Art. She selected other Californians including Jay De Feo and Wally Hedrick but the show has gone down in history for her inclusion of then emerging artists Jasper Johns, Ellsworth Kelly, Frank Stella and Robert Rauschenberg. It was a landmark exhibition but Jarvaise remained in Los Angeles, where he grew up. With undergraduate and graduate degrees from USC, he married a fellow student and taught art there for some thirty years. He initially showed with the prestigious Felix Landau Gallery on La Cienega Boulevard but had less success with galleries in New York. Since 1970, he has lived in Santa Barbara. With so little connection to the art world in Manhattan, recognition dwindled but his talent apparently did not. Just as Matisse's cut-out compositions completed at the end of his life are active with a youthful joie de vivre, so too are the burlap collages of Jarvaise, though this rough material would seem at odds with his joyous sensibility. The stiff material is cut into arabesques and French curves with tiny little details in all the right places. The edges of each delicate shape are held in place by black plastic cement. They are abstract to be sure but relate to the human figure in ways alluded to in the titles of two paintings, Demoiselles, (2013) numbers two and five. 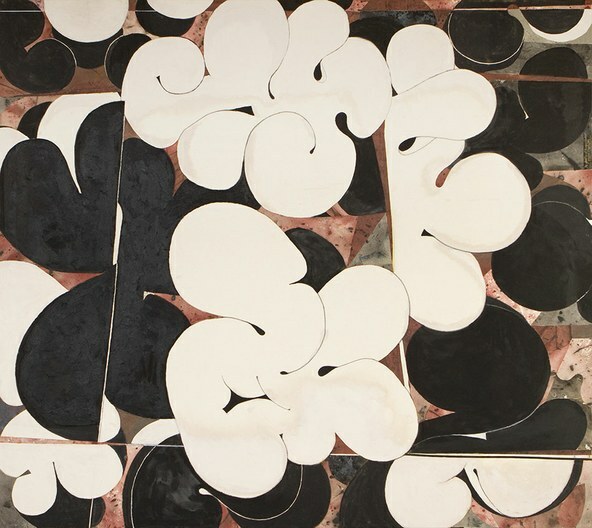 Picasso may be a touchstone but so are the shapes of leaves, waves, clouds and other organic elements as evidenced in Pas de Deux (2013). 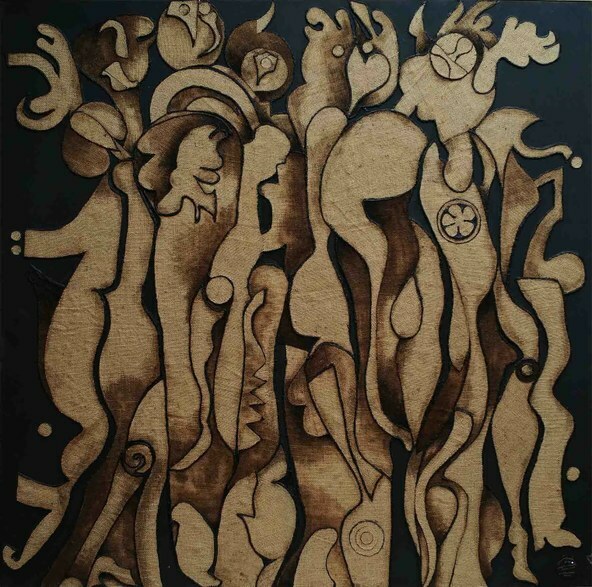 Others works are composed of cut and painted canvas in animated and rounded forms of black, ivory and terracotta tones or soft, scumbled grays. Les Nuages et Noir (2006) is bubbling with energy. All nine works were completed between 1989 and 2013 and each is rewarding in its own way.